International law firm DWF is heading towards its blockbuster stock market listing barring an unexpected economic upheaval, its chairman indicated yesterday. 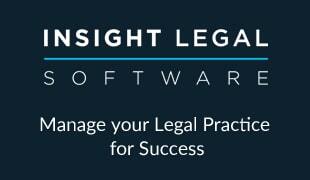 The Legal Futures Innovation Conference in London also heard how listing was a valuable corporate alternative to the traditional law firm partnership model, which is increasingly unwieldy in a post-2008 world. DWF revealed in June that it was weighing up an initial public offering, valued at around £600m – which would make it by far the biggest listed law firm – but despite considerable press speculation since then, it has not confirmed whether this is going forward. 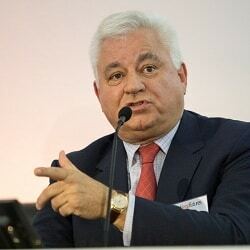 In an onstage interview with Legal Futures Editor Neil Rose, DWF chairman Sir Nigel Knowles said he was limited in what he could say. But barring political and market upheaval – such as a change of government – listing was probable. “Let’s say… subject to society making the right sort of decisions between now and then, it looks likely,” he said. In a session on listing, David Beech and Greg Cox, respectively chief executives of Knights plc and Simpson Millar – now backed by private equity after the collapse of Fairpoint Group plc, of which it was part – both said public listing was a positive move if done correctly. They also agreed that a strategy of growth through acquisition rather than organic growth carried risks that could scare investors. Mr Beech said his business model was based equally on both organic recruitment and acquisition for this reason – investors needed reassurance that acquisitions were not hiding any problems. However, Mr Cox pointed out that if done strategically, acquisition was also an opportunity to “get you quicker on the journey than you otherwise would have done”, such as recruit good people, move into a new area of work, or become established a new region. Mr Beech, whose business has grown year on year since it was founded in 2012 and last week said it expected annual revenue to top £100m for the first time, said he had retired as a lawyer but was drawn back into it by the prospect of building value in the sector after the Legal Services Act was implemented. The success of Knights had been based on creating one culture among the workforce, where every piece of work is run by teams – which “share work across different experience levels and different cost levels, between partners, associates and paralegals”. He said most of the hard work of creating a single culture was done at the start. He continued: “Every job has a team structure behind it. But switching from a partnership model to a corporate model was viable. However, he recommended reorganising the firm quietly before listing. “I would say don’t do it in the public domain; do it privately. Mr Cox said listing could be done well, and it was “entirely possible” that Simpson Millar would consider “going back on the public market” in a few years. But he said there were pitfalls, drawing on his firm’s unhappy experience of being part of Fairpoint before it went into administration. A key problem was short-termism, where the law firm suffered from the requirement to post six-monthly financial results, for instance “manipulating marketing spend to make short-term results look better”. Other drawbacks of being part of a company with non-law businesses in the group arose when those other businesses started to struggle financially, he said. Morale in every part of the enterprise was affected through a process of “group contagion”. Having the group’s failures played out in the public domain had a “massively damaging effect” on the confidence of employees, referring suppliers, and clients. Also, if shareholders lost confidence in the business, they would simply sell.